Portlandia jokes aside, the DIY movement is here to stay. 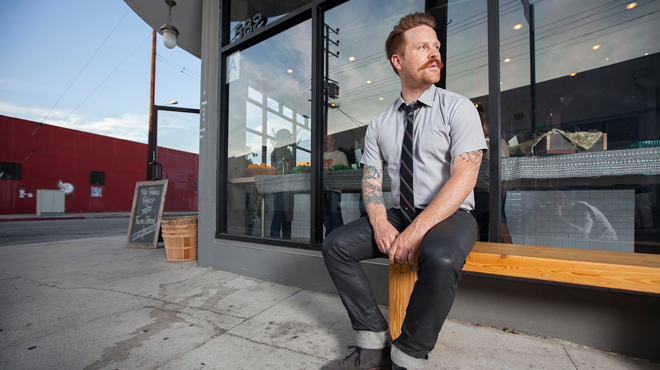 Love them or hate them, LA's new breed of food artisans are doing things their way. Six traditionalists (and obsessives) do the craft of coffee roasting, preserving, fermenting, cheese making and ice cream. Wells' dirty little secret: "I went to two places in the last month and got a mocha. I drink, like, one mocha a year." As construction of Handsome Coffee Roasters was underway in Downtown's Arts District last February, locals dropped by for their morning cup from a back door— literally—coffee bar run out of an espresso cart. "People would come by, throw a couple bucks in the donation jar, or not," co-owner Tyler Wells recalls. "We were just trying to establish ourselves and be a part of the community." Wells and his two partners, Michael Phillips and Chris Owens, are fueled by the model of hospitality. "It always comes back to doing something better or making someone happy." Today, downtowners can get their caffeine fix from the roasting plant/coffee bar where 1,000 bags of coffee beans are roasted and shipped to 80 wholesale accounts a week. Handsome's coffee is also on the menus of a select few of the city's best restaurants—an enviable list of five: Bäco Mercat, Ink, Le Comptoir, Red Medicine and Salt’s Cure. Le Comptoir’s chef Gary Menes, who's worked in the kitchens of Patina and the French Laundry, finishes his prix-fixe menu at his 14-seat pop-up with the Downtown-roasted coffee. "After my diners experience five to six courses of very intense tastes of unique products, they expect the coffee to be just as special," Menes says. "I love what’s happening with coffee," says Wells. "It parallels what happened with food a few years ago—it’s become something culinary." 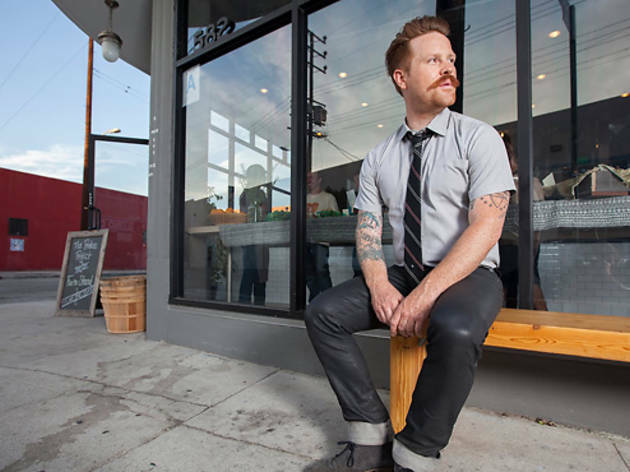 Wells got his start running the coffee program at Austin’s Frank—the first Texas account for the Chicago-based Intelligentsia Coffee—and then made the move to Los Angeles to help open and manage Intelligentsia’s Pasadena outpost in 2010. There, he met Phillips and Owens and the trio bonded over all things coffee. Between their cumulative backgrounds—Phillips is a self-professed coffee-nerd-turned-world-barista champion who worked his way up Intelligentsia from bagging coffee to director of education; Owens’ resume includes Gimme!, Counter Culture and Ritual—they decided to branch out on their own. "The plan was to keep the scope pretty limited in our offerings, just a couple things, but done really well,” explains Wells. Those offerings are single-origin espresso—either served straight up or with whole Clover milk—no additions, no sugar. Whether or not coffee drinkers accept the no-sugar rule, they're intent on doing things their way and with a smile. "Handsome represents an era when men wore hats, people were polite, and you went to the store and had personal interactions," says Wells, who is, unofficially, the face of Handsome. He practices that sentiment by greeting customers—all of whom he seems to know by name—with a handshake. Handsome is not only a local go-to for coffee drinkers, but also for Arts District residents who can now drop in for their weekly groceries at the weekly farm stand every Wednesday night. "This is very much a community where people live. We stay open late and people can get their grocery shopping done without having to leave the Arts District," says Wells of the seasonal produce brought in by the Produce Project. What does this mean for Handsome's future? Wells explains, "We love to host public events. We just want to be part of cool stuff." Wells would love to host a weekly, neighborhood block party, which is probably not too far from the future. Just look out for the tip jar. Sqirl 2.0: Koslow teamed up with former Intelligentsia alums Kyle Glanville and Charles Babinski to open Sqirl with G&B Coffee, offering coffee alongside breakfast and lunch items like brioche toast served with Sqirl jam and hazelnut-almond butter, open-faced sandwiches and heirloom rice porridge. "Jammer" Jessica Koslow hunts down "the dodo birds of produce"—uncommon heirloom varieties, only briefly available during growing season. "Restaurants can't bake with them because of their limited quantity and markets can’t stock them because of their short shelf life." 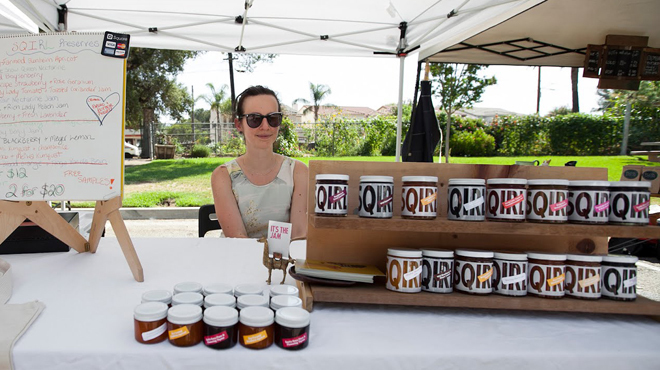 But Koslow captures them at their peak and preserves them into jars of Sqirl jam. Koslow works with local farmers—McGrath Family Farm for Seascape strawberries, See Canyon for Blenheim apricots—to source the best of what's in season. That also means making the trip to Walker Farms in Sebastopol to drive down 100 pounds of Gravenstein apples. But this is no matter for the 31-year old native Angeleno who’s up for any challenge from hand slicing Mandarinquats for marmalade (altogether a three-day process), hand-labeling more than six different seasonal flavors of her small-batch jams and filling requests like dill pickles for clients like Nancy Silverton's Short Order. To know Sqirl is to know Jessica Koslow. Named for her character of squirreling away things and being a girl—at once quirky, whimsical and a little silly (as evidenced by her blog, an inspiration board of everything from design and fashion to dreamboats David Byrne and John Hamm). Proof Bakery’s Na Young Ma uses Sqirl jam on her brioche toast, pastel de vasco and sandwiches and appreciates Koslow’s worker bee, or rather, squirrel-like work ethic. "She’s constantly experimenting and trying to make her products better than before," Ma says. "We try to use that same philosophy at the bakery." Last year, Koslow completed the UC Cooperative Extension’s Master Preserver course—a coveted and competitive spot for 18, whose alums include Mother Moo’s Karen Klemens, Saving the Season’s Kevin West and the Institute of Domestic Technology’s Joseph Shuldiner—but Koslow was no stranger to the craft of preserving which she was first introduced to working at Atlanta's Bacchanalia. In between stints at Bacchanalia and after working in New York and ultimately LA as a TV producer, she opened Sqirl last March in Silver Lake. "I knew I wanted to go into food and preserving in a way that no one else was doing." 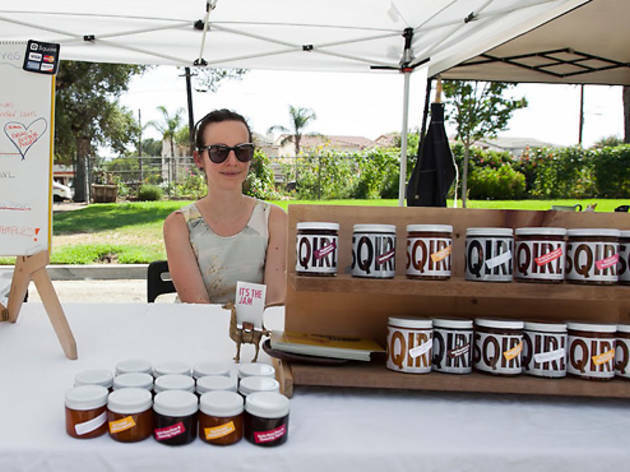 Koslow sells her jams at local stores like Proof Bakery and at Wednesday's Altadena Farmers Market. There's also monthly jam making classes held at Sqirl. And as she prepped for the debut of Sqirl with G&B—which she opened October 4 with Intelligentsia alums Kyle Glanville and Charles Babinski—she called on Ma for granola and brioche bread for open-face tartines and architect David Freeland who designed the geometric-designed interior and back patio. And in true Sqirl fashion, weeks before opening, Koslow had already canned 4,000 pounds— that’s 4,000 jars—of fruit. Who: Jordan "Uri" Laio, "spontaneous preserver"
Moonlighting gig: Laio’s also an urban beekeeper and is working with Farmshop to create their own rooftop beehives. Jordan—or "Uri" to all who know the bushy bearded 29-year old—was a year into law school when he asked himself, "Why am I in law school when my passion is fermentation?" Enter: Brassica & Brine. Launched last November at Westwood and West LA’s farmers markets, Uri’s sauerkraut and the spicy Korean cousin, kimchi, are made using a centuries-old technique of fermentation, namely wild lacto fermentation. Salt—as opposed to vinegar and canning—is the only ingredient used to preserve vegetables. (The company's namesake refers to cabbage and its preserving liquid of salt and water.) The result? Delicious pickled cabbage that’s savory, tangy, to—depending on how long it’s fermented or "aged"—downright funky. It's also caught the attention of one of the city’s top restaurants, Farmshop. "[Brassica & Brine] is what I’m really excited about," gushes Joshua Drew, executive chef of the Santa Monica restaurant that expanded with a bakery and gourmet retail store last January. "[Uri] makes beautiful sauerkraut." Brassica & Brine’s Four Thieves and Kimchi Karma jars line the shelves of the larder that reads like a who’s who of California’s best (Hollow Frog Farms preserves, Drake Family Farms chevre, Bill Niman beef hot dogs). 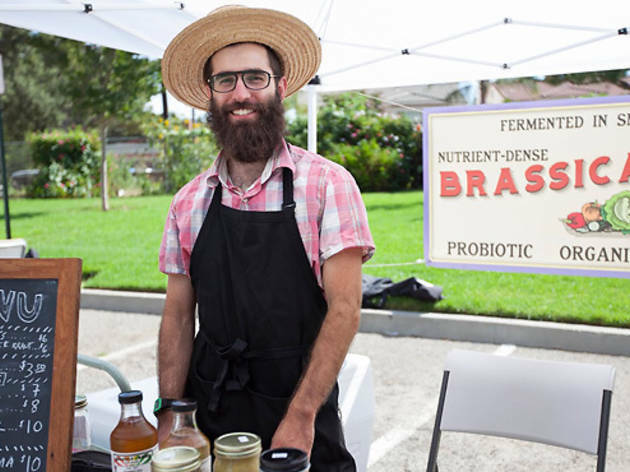 Emiliano Lee, the retail store’s manager, who was turned on to Brassica & Brine by Sqirl’s Jessica Koslow says, "First and foremost what attracted me was the flavor: the freshness, crispness, balance of flavors and how good everything tasted." "I appreciate simple, high quality food," Laio explains. "Does it taste good? Does it taste fresh?" The Long Beach native developed sensible eating and his palate after living on an organic farm in Connecticut for a summer, followed by stays at a Vermont maple syrup farm and farms throughout Israel. But his fermentation obsession wasn’t cemented until he moved to San Francisco where he attended UC Hastings College of Law. 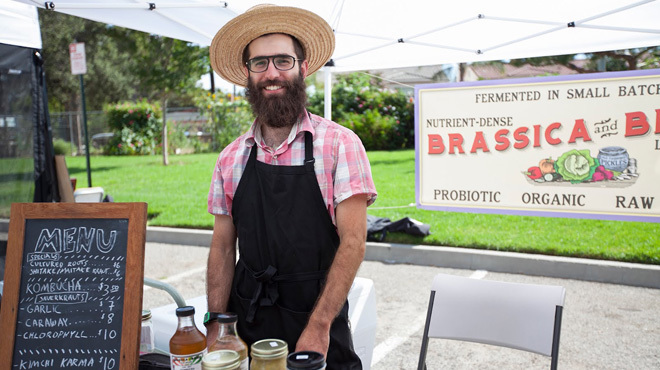 During that first year of law school, he worked at Berkeley’s The Pickle Shop, found his life’s passion, and moved back to LA to form Brassica & Brine, which launched in July 2011. Laio recently moved into his own kitchen space and has expanded into additional farmers markets, including Altadena, Sunset Strip and Hollywood. Despite the growth, and catching up to meet the demand, he still maintains a small production. And like a true artisan, he hand makes and tastes each batch. The Scoop: Karen Klemens is one of LA’s master preservers and a self-described urban homesteader. 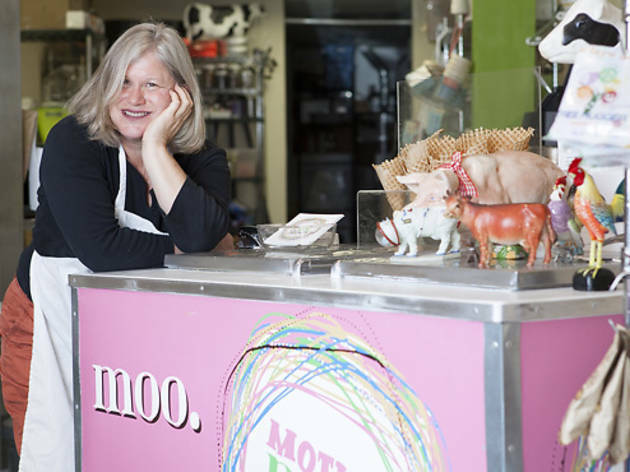 She founded Mother Cluck preserves and continues the preserving tradition with Mother Moo’s ice cream. 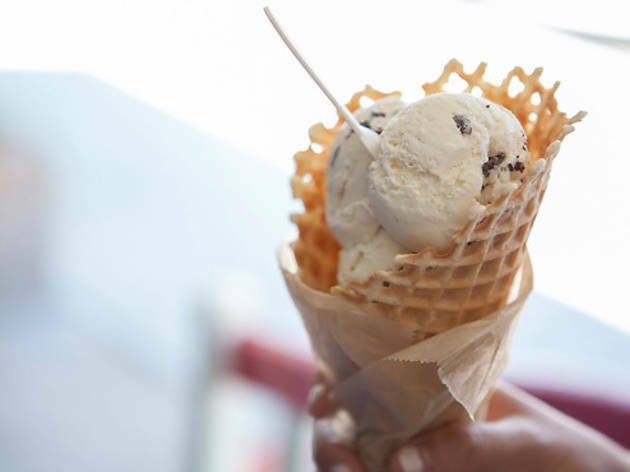 "Ice cream," she says, "is one of the most social foods." 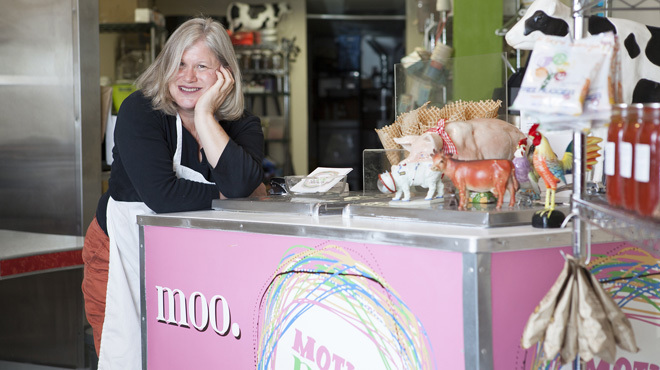 At her Mother Moo ice cream parlor in Sierre Madre, locals and families stop in for a root beer float, milkshake and ice cream in signature flavors like chocolate (three types of chocolate, flecked with salt) and triple milk (a combination of buttermilk, cream and non-fat Strauss milk). 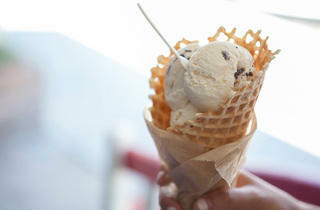 Ice cream trivia: As Karen reminds us, “Ice cream is actually another form of food preserving.” Cue elementary school flashbacks of rolling cream, egg, and sugar in salt and ice. The Scoop: Two Italian friends Angelo Tartaglia and Franco Russo met in Bagnoli, Italy, where Russo's family has been making mozzarella cheese for three generations. They brought the same cheese-making tradition (and machinery) to LA’s South Bay with fresh cheeses made with California dairy. While the company distributes to Whole Foods, Russo oversees the five-hour production every morning, and hand makes its burrata. Fox Pizza Bus uses their mozzarella and ricotta exclusively on its wood-fired pizzas. Authentic find: The homesick Russo confesses he can’t find any good Italian fare stateside, but has found near authentic eats at Malibu’s Tra di Noi. The Scoop: Tennessee native Kevin West may have started in the fashion world as an ex-W editor, but his self-professed "weekend project to hobby to obsession" of making seasonal preserves—inspired by "Gram's"—has turned into Saving the Season. His small batch jams—West turns out 12 jars at a time—are made with local fruits like Blenheim apricots and also include a Scotch marmalade he developed for buddy Scott Sternberg's Band of Outsiders. He teaches preserving at Altadena’s Institute of Domestic Technology and his preserving cookbook Saving the Season will be released by Knopf next spring. Dirty little secret: His favorite way to enjoy jam? Straight outta the jar.